A Scott Productions Ltd (The Community’s Voice) is an independent, vibrant creative media hub formed in 2015 by writer, producer and director Aysha Scott. Aysha came up with the concept for the company after completing a BA (Hons) Creative Writing Degree that she was also awarded the Course Directors Prize for outstanding achievements in. 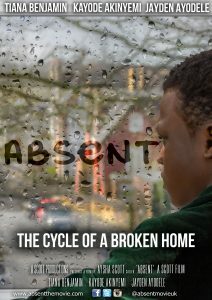 Since graduation she has gone on to co write and produce a feature film Residential (British Urban Film Festival Official Selection 2016) and wrote and produced ‘It Still Hurts’ and is currently in pre-production for her feature film ‘Absent’. 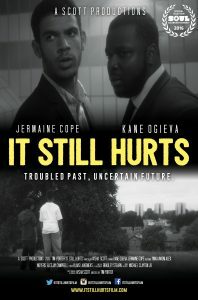 ‘It Still Hurts” is the first film on A Scott Productions slate. 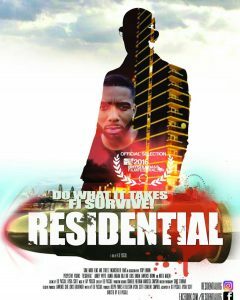 The short film was officially selected for SOUL Celebrate Connect event, where the film premiered at the British Film Institute in February 2016 and screened at ‘Heaven’ Kush Film Industry event at Regent Street Cinema in May 2016. The film is currently doing the festival rounds. A Scott Productions overall aim is to deliver high quality Films, TV, Documentary and Theatre productions that looks deep into the experiences of the black community. Through message-based tales we seek to address controversial social issues not commonly found in the mainstream media that will inspire, empower, inform and entertain whilst bridging the gap between cultural conflicts and modern society. In addition the company manage various talents and provide script writing, acting and filmmaking (SAF) workshop and various innovative creative workshops for young people age 11 – 18 as well as workshops focusing specifically on young black and ethnic women who seek to peruse a career within the film industry.